Urban Outfitters' 20% rate of growth over the past several years has engendered significant expansion of its vendor base, which exceeds 1,500 suppliers today. The apparel and accessories retailer handles products for multiple divisions and manages a supply chain that includes retail stores, wholesale accounts, websites and catalogs. To alleviate growing pains and facilitate its supplier management process, the company is launching a Product Lifecycle Management (PLM) system which will provide the information needed to scorecard vendor performance. Jay Hallett, vendor relations and compliance manager at Urban Outfitters, said the information obtained from the PLM system "will provide our buyers with a valuable tool for determining the true cost of dealing with certain vendors. We expect to use vendor scorecards as a way to reduce the amount of handling required in our DCs. Vendors with good ratings will be fast-tracked through our DCs, with limited or no added handling, including count verification." He said the system is expected to go live within the next year. system. "The PLM system will give us a single location for compiling and tracking all of this information and give us a more accurate picture of who our problem vendors are and the ultimate cost to our bottom line." He said information about the new system will be made available to its vendors through its vendor website. The move by Urban Outfitters underscores a shift in the way retailers are managing the performance of their suppliers. For years, retailers have relied solely on compliance and deduction policies to manage their suppliers and encourage them to meet their supply chain requirements. 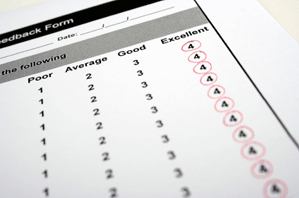 However, scorecards offer a more proactive means of measuring supplier performance and enable retailers to closely align themselves with vendors who achieve the highest grades, while providing incentives to those whose scores are on the low end. According to a recent VCF survey, 67 percent of retail respondents noted that their buyers' decisions are influenced by suppliers' scorecard performance. Hallett noted supplier management has changed significantly for Urban Outfitters during the past several years. "In the past, we relied on our buyers to distribute a hard copy of our vendor guidelines and communicate any and all violations to our vendors. We ended up with multiple outdated versions of the guides in the hands of our buyers and vendors." As a result, the company's ability to educate its merchants and its vendors declined to a critical level. About a year ago, the company addressed the problem by launching a vendor website, which serves as a single portal for vendors to access its routing, packing and ticketing information. "It provides vendors with a seamless experience in dealing with our company," Hallett said. "All new vendors are required to register on the website, which enables us to gather critical information about our vendors. With this tool, we are able to send email blasts to all of our vendors concerning critical policy changes, or relevant company information." The creation of the website has also lifted a burden from the company's buyers, while elevating its vendor relations department to the position of liaison between the buyers and vendors. Hallett said buyers are no longer required to convey routing requirements to vendors, which enables them to focus on dealing with vendors strictly as merchants. He added that the website enables the vendor relations team to focus more on communicating with suppliers to boost supply chain performance, as opposed to "being all about issuing chargebacks in order to enforce compliance." He is hopeful that the development of scorecards will improve its supplier performance management capabilities even further. of goods through the supply chain. "The need for quick turn and greater efficiencies makes it critical that Urban is communicating with our vendors and, more importantly, making sure they fully understand our requirements. Add this to an ever-changing landscape surrounding federal and state regulations and we have an even greater obligation to make sure our vendors are educated." This is critical because the costs of failure are high. Orders that are held up due to compliance errors cause ripple effects throughout the supply chain, he said. Collaboration also leads to improved retailer-vendor relations that can diffuse issues that revolve around chargebacks, particularly under current economic conditions. Vendors are under pressure to ramp up their recovery efforts and "we are finding that our vendors' accounts receivable departments are requesting back-up on every claim being issued and are contesting all claims, despite back-up being provided." At the same time, buyers at Urban Outfitters are having a hard time issuing claims to vendors, while "asking these same vendors to reduce costs, and, in some cases, reduce quantities on open orders." The economy is squeezing both sides and only through effective communication and collaboration can resolutions be achieved. Hallett recently attended his first VCF Conference in March and found that the face-to-face meetings between trading partners offered an effective means of discussing mutual challenges. "I found it to be mutually beneficial to meet with my counterparts at other companies to discuss similar challenges and to pick their brains on how they are handling these common issues. There are a lot of outside forces affecting how we do business and it is good to share ideas."